I am not against all regulation. I am against overzealous regulation. Nor am I against all government. I often joked on the campaign trail that I was for $2.2 trillion worth of government—what we currently bring in in revenue—but certainly not for the $3.8 trillion of government we currently spend. Rand has been explicit about where he stands. Libertarians just haven't been listening to him so they feel betrayed. I wish I saw this comment earlier and just +1'd it so I didn't waste my time with this illogical obsession with harming the prospects for advancing liberty. In this case, it's pretty apparent that the apple *did* fall far from the tree. I could stomach him if we just had an honest disagreement on whether he was being consistent with the NAP, but he thinks you should abandon it all together on many issues. He doesn't even see government as a necessary evil. He sees it as a good thing when managed properly. I also couldn't care less if he is less bad than most politicians. Comparing him to the slimiest people on the planet isn't going to impress me. The only thing this guy does is muddy the waters for libertarians. I'm going to have fight the "even Rand Paul believes X" argument for years because of this guy. Thankfully, Wenzel puts him on blast for his deviations from libertarianism, so I have a place I can point people to that think Rand is like me. Rand fell from the tree and rolled a long ways down the hill. 99% of Congress wants to grow government. One Senator wants to cut it by nearly 50%. That's the guy libertarians should constantly be bitching about, am I right!? 10 villains stand outside your home, conspiring to rob and assault you. 9 of them argue they should be relentless, take everything they can and beat you to death in the process if necessary. 1 of them argues that they should only take the valuables but leave the rest of the house in tact and, if you resist, to only beat you as much as necessary to stop you from resisting, otherwise, leave you alone. But he is not against what's about to take place in principle, just how much of it is to take place. This last guy is your friend, isn't he? No need to try to reason with the Anti-Rand Paul crowd. These people are illogical life fish. You should have a suspicion that your position makes no sense when you need to abstract out to an analogy that is totally irrelevant to the issue being discussed. 9 members of Congress support the TSA. One wants to abolish it. Any sane libertarian would recognize the guy in favor of abolishing the TSA is a huge asset, even if he fails on other issues. It's a psychological disorder that is responsible for focusing more energy on attacking the guy advocating the abolition of the TSA (and the FDA, by the way.) because he is so good on certain issues he got you hopes up that he could be the libertarian his father was, or we all wish everyone was. He's not. He never said he was. 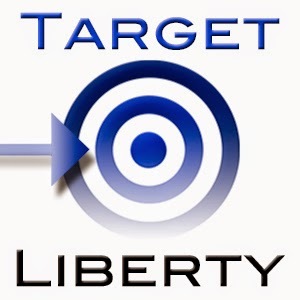 But if you think it is an intelligent strategy to focus your efforts on attacking those who are closest to us and aggressively pushing the libertarian agenda on key issues like the TSA, you need to spend some time listening or reading Murray Rothbard on politics. Or just take a deep breath and ask yourself if that makes any sense at all. Rand Paul is not saying he is the "true libertarian" and Rothbardianism must die and make way for his libertarianism-lite. But that's exactly how all these lunatics are acting, instead of doing exactly what Rothbard would be if were still alive today - appreciate his libertarian stances on certain issues, while bemoaning his failures on others. You don't get to be the utilitarian weigher of libertarian virtue for the rest of us. Is there some divinely ordained principle that states that wanting to abolish the TSA, for instance, more than compensates for any number of the anti-liberty positions of which Rand Paul has so clearly articulated his stance on? No, there is not such a principle. And no, you don't get to be the utilitarian weigher for the rest of us. I, for one, was never deluded into thinking he was a libertarian or a potential soldier in the fight for individual freedom. I said so on this blog over and over again while everyone else was getting their hopes up needlessly. So this has nothing to do with any psychological disorder rooted in my attempt to cope with my poor sense of reality and political forecasting. Thanks for the snap, quack diagnosis though. If you want a leg to stand on, I suggest you rectify the mistake you've made-- you attempt to appreciate his "libertarian stance on certain issues" but you have yet to "bemoan his failures on others." I am getting the sense that YOU have a psychological disorder... maybe you get off on a little bit of power being exercised in ways you're comfortable with, and it's upsetting to you that anyone might have the temerity to point out that such desires are inconsistent with your stated principles. Or maybe, you just don't understand the logic of liberty enough to get that some guy who apologizes for government of any size ($2.2T? HA! That's HILARIOUS Rand Paul, absolutely HILARIOUS!) isn't really interested in freedom, he's just out there playing games and having fun at our expense like the rest of them. When you find me an example of a guy who compromised on the issues here and there to advance the liberty "agenda" in key, meaningful ways AND SUCCEEDED IN DOING SO, then I think you'll have a point. Until then, all I see is a wasteland of sellouts and suckers. And you're wandering around in the middle of it looking pretty clueless. Can we all just agree that Rand Paul is a run-of-the-mill Republican and from here on out give him the amount of attention he deserves? Namely, zero. I've been one of the few defending Rand, but this...this is really making it hard for me. All former rand paulians are hereby disgraced unless and until they provide a genuine mea culpa and shut their mouths until they've read and absorbed rothbards for a new liberty. What's sad about this is that Rand was likely brought on the writings of Rothbard and other libertarians and has chosen a different path. Most statists had no such upbringing. Hmmm. How much is too much? Who gets to decide? Certainly not the property owner. I am a free market anarchist who likes, enjoys, and wants to conserve the environment. But I don't want to do it through government coercion. I want to do it through private property rights. And I AM against all government. With respect to Rand, looks like Rand doesn't want to punch you in the nuts, he just wants to punch one of your nuts. I would be quite satisfied if we were able to cut government spending to 2.2T. This is similar to what Gary Johnson is proposing and a substantial improvement over the current situation. Let's not let perfect get in the way of good. We can always cut more after we get to a balanced budget. ‎Note there is nothing in there about irrationally attacking and becoming pathologically obsessed with the person offering a piece of the loaf, despite us wishing for the whole thing. "There is not a single abolitionist who would not grab a feasible method, or a gradual gain, if it came his way. The difference is that the abolitionist always holds high the banner of his ultimate goal, never hides his basic principles, and wishes to get to his goal as fast as humanly possible. Hence, while the abolitionist will accept a gradual step in the right direction if that is all that he can achieve, he always accepts it grudgingly, as merely a first step toward a goal which he always keeps blazingly clear. The abolitionist is a 'button pusher' who would blister his thumb pushing a button that would abolish the State immediately, if such a button existed. But the abolitionist also knows that alas, such a button does not exist, and that he will take a bit of the loaf if necessary – while always preferring the whole loaf if he can achieve it." - Murray Rothbard, "Do You Hate the State?" You appear to be a (Ayn-)Randian or something... "irrationally attacking" (oh, you're the arbiter of reason now and get to decide when our grievances are rational or irrational, right? ), "pathological obsession" (oh, right, only a SICK person could be concerned, and if they even mention it they're OBSESSED). Not that that makes you wrong, it's just a funny way you argue. You think you've got it all figured out and if you just tell everyone they're "irrational" and "pathologically obsessed" you don't have to respectfully consider their disagreement with what amounts to nothing more than your BELIEF of how people ought to respond to a turd like Rand Paul in the punch bowl. You talk about a loaf of bread. Well, maybe when you see little brown spots in the loaf you just close your eyes and pray it's raisin bread but for me, I keep my eyes open and when I spot rat droppings I try to pick them out. If I can't do that, I choose not to ingest poison. Way to abuse Rothbard's beautiful quote!! You've really outdone yourself this time! Context is incredibly important (I'm just waiting for you to spring that on me-- listen dude, I've read Ayn Rand, too), tell me what context do you think Rothbard is saying this in? Do you think the context is "compromise", whereby the abolitionist -- not Rand Paul, by the way, by both our admissions, because he's not a libertarian, so, strike one right there in abusing Rothbard's intent -- lends his support for evil X in return for getting the support of others in suppressing evil Y? Because I don't think that's what he's saying. He's saying, "If you're trying to get rid of X, and you can only convince people to get rid of 1/2X, take it and keep working at the other half later". Rothbard doesn't say "If you can convince people to get rid of 1/2X in return for supporting Y, go ahead and do that!!" (Here comes an Ayn Rand false-dichotomy trick): Are you dishonest, or just stupid? Can't believe you didn't see that. Going to have to try a lot harder with your bluffs around here if you want to get me to fold, Mr. Fellner. 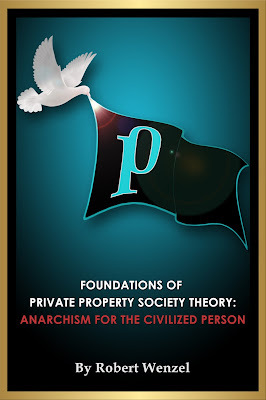 If you haven't read Rothbard vs The Philosophers I would recommend doing so. Especially, take a look at the chapter Confidential Memo On FA Hayek's Constitution Of Liberty. "F.A. Hayek's Constitution of Liberty is, surprisingly and distressingly, an extremely bad, and, I would even say, evil book. Since Hayek is universally regarded, by Right and Left alike, as the leading right-wing intellectual, this will also be an extremely dangerous book. The feeling one gets from reading it is the same sort of feeling I would have gotten if I had been a U.S. senator when Taft got up to support the Wagner public housing bill, or any of his other compromises: i.e., that this tears it. For when the supposed leader of one's movement takes compromising and untenable positions, the opposition can always say: "but even Taft (Hayek) admits..." Hayek is the philosophic counterpart. The only tenable conclusion is that any Volker Fund or any other support for this book will be self-destructive in the highest degree. " ..."This then, is the face that F.A. Hayek will present to the world in his Constitution of Liberty. It is such a face such that, if I were a young man first interested in political questions, and I should read this as the best product of the "extreme Right," I would become a roaring leftist in no time, and so I believe would almost anyone. That is why I consider this such a dangerous book and why I believe that right-wingers should attack this book with great vigor when it appears, instead of what I'm sure they will do: applaud it like so many trained seals...."
I think this gives us a very clear idea on what he would recommend us do with books like Rand Paul has written. If anything, this just demonstrates Rothbard's irrational hatred of anyone who wasn't as pure as him, and his PATHOLOGICAL OBSESSION with tearing down people who might otherwise be his allies! Because the Rand Paul's of the world make compromise on our freedoms because we froth at the mouth so much it scares him. It's our fault that he's such a wanker. Not his. Question for the Robert Fellners of the world... I am sure, somewhere, Barack Obama, Nancy Pelosi, George Bush, etc., have done something that could be twisted into a compromised effort for more freedom, at some point. How come THEY don't get a pass? Why aren't you PATHOLOGICALLY OBSESSED with attacking the people who give them a hard time for their "principled stand" on the issues? 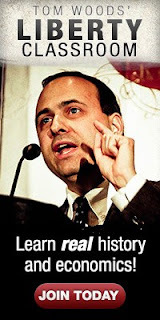 "Way to abuse Rothbard's beautiful quote!! You've really outdone yourself this time! " It appears you do not understand the purpose of the quote. The abolitionist may wish for government spending to be cut 100% but when the only options available are for it to grow or be cut by 50% (Rand Paul) he begrudgingly takes the gradual step in the right direction. With a guy advocating a balanced budget, abolishing the TSA, etc. etc. a step in the right direction. That is the only thing I have ever said. That it makes no sense to exclusively and excessively focus attacks on the best available option at the moment. Your inability to grasp this basic point and go off on an absurd number of tangents in regards to Ayn Rand, utilitarianism, a really embarrassing failure to grasp the straightforward meaning of the Rothbard quote, and so on, is a rather bizarre attempt at distracting from this extremely basic point, and as such, there is no reason for me to continue this. Robert, I'm sure all of us would agree with cuts in the size of government and would support Rand in those endeavors that actually do this. Just as I am sure Rothbard would have, but that doesn't mean we have to support the man or his books. The fact is Rothbrd would have given Rand Paul the same treatment he gave Hayek. Rand is dangerous in the same sense that Hayek was dangerous. I think you would have a hard time saying Rothbard would treat Rand's book any better than he treated Hayek's. Therefore, I'm not sure what your complaint would be to this post if you are using him as the benchmark for model behavior. Rand, in this very post, calls himself a conservative. Hayek's book was "The Constitution of Liberty." So, no, they are not dangerous in the same sense. But you do highlight the fallacy that explains the Rand Paul hate, and that is they continually and perpetually erroneously label him a libertarian, most probably likely due to sheer ignorance or the expectations his father created. Let's use common sense as our benchmark. Let's look at the world today. And our government. 99% of Conservatives want to grow government and maintain the status quo. One guy is proposing abolishing the TSA, FDA, and cutting government spending by almost 50%. As a libertarian who wants government reduced to nothing, common sense tells me that Rand Paul is clearly beneficial for my long term goal, given the reality of where we are today. That's it. That's all. No one is saying give him a free pass on where he fails. But it is certainly counter-productive to exclusively focus on attacking his failures and attacking anyone who supports him. Your argumentative tactics are incredibly condescending! You do not have a monopoly on "common sense", sir. You don't get to appropriate for your OPINION the title of "common sense" and thereby imply everyone who disagrees with you is lacking in common sense (and thereby something of a moron). Geez, you are so antagonistic and rude, I don't think you pay any attention to your rhetoric at all, and the way it provides people with a false dichotomy-- either you agree with me and you have common sense, or you disagree and go without. You don't seem to have any understanding of how government and politics ACTUALLY operate. The true principle is that of the "backscratch," ie, you scratch my back and I'll scratch yours. If Rand Paul is to have any hope, whatsoever, of actually ramming through any of his particular, pro-liberty policy initiatives, it is going to come packaged every single time with a new intervention or regulation. If he wants his backscratched (because, as you rightly point out, he's something of a lone wolf so he can't do it all on his own), he has to scratch some other people's as well. This is where your condescending BS attitude comes in-- you now take it upon yourself to objectively judge that the tradeoffs being made in these instances are "worth it." But that isn't for you to declare for anyone other than yourself. You might be able to decide you can tolerate "ending the TSA" for, say, "war in Iran", but you can't ask or expect other people to do that as well. It isn't COMMON SENSE, it is SUBJECTIVE PREFERENCE at that point. Every man can make his own assessment of which is a bigger threat to his personal, individual liberty. We're still waiting for you to criticize Rand Paul, by the way. You keeping talking about how he doesn't deserve a free pass when he fails... what kind of bombs do you think should be thrown at the guy? You can't seem to own up to that. Quick summary, before you accuse me of going off on tangents: Rand Paul's RHETORIC gets libertarians nothing, just as me sitting in front of the mirror chanting for freedom each morning (I am pathological, remember), doesn't magically make the world a freer place. It is only Rand Paul's decision to scratch the other monkeys' backs that will get his ideas put into power, and at that point he'll have to make TRADEOFFS between liberty and its opposite. And it is these tradeoffs which us irrational, obsessed purists, are pretty upset about because we don't believe that our freedom is a currency with which other men might make exchange on our behalf. Got it? Is that common sense enough for you to handle? Robert, I agree with Taylor's points above, and I would add that it is because so many people erroneously label Rand as a libertarian that he should be criticised every single time he deviates or obfusicates the libertarian position. This is my point in saying he is dangerous. You, me, and Taylor might all understand that he isn't a libertarian, but that doesn't change the fact that many many others do see him as one. Also the media tries to pass him off as the more rational libertarian, just listen to Hannity talk about him vs his dad. I understand that you would like some positive stories to occompany all these criticisms, an I would suggest contacting Rand and asking him to get back to the positives so we can do that. He's been on such a horrendous streak with regards to promoting libertarian positions that it would be difficult to find something to praise him on. Even when he says something I can agree with him on he'll usually follow it up with something awful. Even his bill to "end" the TSA was a joke. He didn't propose to end it, he proposed to make it a public/private aka fascist institution. I believe it was Becky Akers who was blasting this bill at LRC's blog and I would recommend seeing what she had to say on it. So, because a lot of people associate Rand with libertarianism, I believe he should be criticised every single time he deviates. I have no problem complementing him when he adheres to our principles, but since you acknowledge he isn't one of us then those opportunities are probably going to be far and between. That's Rand's fault and the fault of all those who argue he is a libertarian. Rand Paul wants to eliminate all foreign aid to Israel, and introduced a bill to do it. Not surprising, but that one Senator who wants that gets singled out for attack here. Zionism is alive and well at the EPJ. Wenzel wants to eliminate all foreign aid to Israel, dimwit. No, Wenzel is trying to sabotage Rand Paul's bill to end foreign aid to Israel. He has an unhealthy obsession with all things Rand. What Wenzel DOES is what counts, not what he SAYS. Wtf? Are you a moron? Ron Paul is against aid to Israel, too, and he gets mega-love here at EPJ. Nice red herring, tool. The nutjob Rand is being rightly creamed for his EXPLICIT SUPPORT OF BIG GOVERNMENT and you are convinced that the TRUE motive is zionist affections. Those kind of mental gymnastics could take home the gold medal! Rand said; "I often JOKED on the campaign trail that I was for $2.2 trillion worth of government—what we currently bring in in revenue—but certainly not for the $3.8 trillion of government we currently spend." Does anyone here get it? Rand joked. No, Rand does not want $2.2 trillion in government. He wants less than that. I am not against all regulation. I am against overzealous regulation. Nor am I against all government. "No, no, that was just a mistake I'm sure. If we read between the lines at his novel attempt at stand-up comedy, we can see he's really dedicated to rolling this beast not just back, but into a deep grave completely!" The real statist traitor is the guy who wrote the forward to Rand's new book, promoting it. That be Ron Paul. $2.2T of government? Umm, no! The Fed Gov't needs to get back to the <10%, preferably <5%, of GDP like it once was. The Fed Gov't should be able to do everything it's supposed to do for easily less than $1T a year. It's the politicians and bureaucrats that can't seem to figure out a way to make it happen. "Shrinking" gov't back to 18% of GDP is a ruse meant to distract and fool the taxpaying citizens. Don't fall for it! Demand on truly small, limited gov't. Make TPTB know that any else is unacceptable. now when thinking of that moment, because now I think I understand what he means, and I couldn't agree more. Rand may have perfectly good intentions, but incremental changes within the beast are, from my perspective, illusion. No matter how small a piece of our liberty government is allowed to keep from us, the beast always seems to find a way to take it ALL. It is like an insidious fatal virus feeding on the host and which is programmed ONLY to continue to replicate itself exponentially within each cell, taking total control of the functions within the host no matter the combination of steps taken in toward the cure. In his defense, thanks to Bernanke, a $2.2 trillion government might actually be a very small government in the not-so-distant future.